Karakol is the main city in the Issyk-Kul region of Kyrgyzstan and is mostly known for being a jumping-off point for the surrounding Tian Shan Mountains and the popular treks to Ala-Kul lake, Altyn Arashan hot springs and the new treks in the village of Jyrgalan. But, there are so many things to do in Karakol itself, many of which don’t even involve trekking! I have to admit, when we first visited Karakol in 2013, we were there to do what most people do – spend the night and go trekking in the mountains the next day. 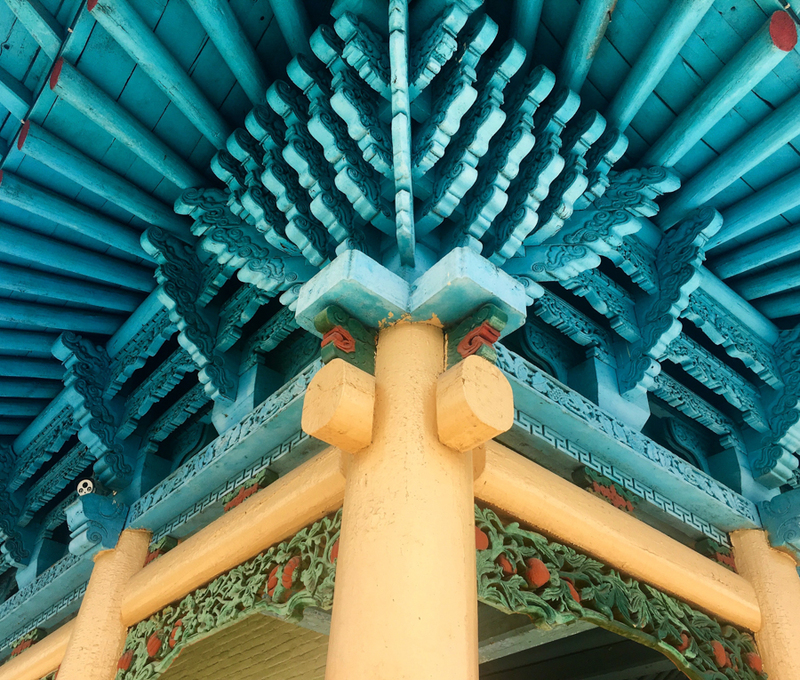 However, having returned to the city this year, we’ve now learned about some new (and really cool) things to see and do in and around Karakol. Whether you’re a trekker, or not, spend a couple of days and soak up all that the city and its surroundings have to offer. 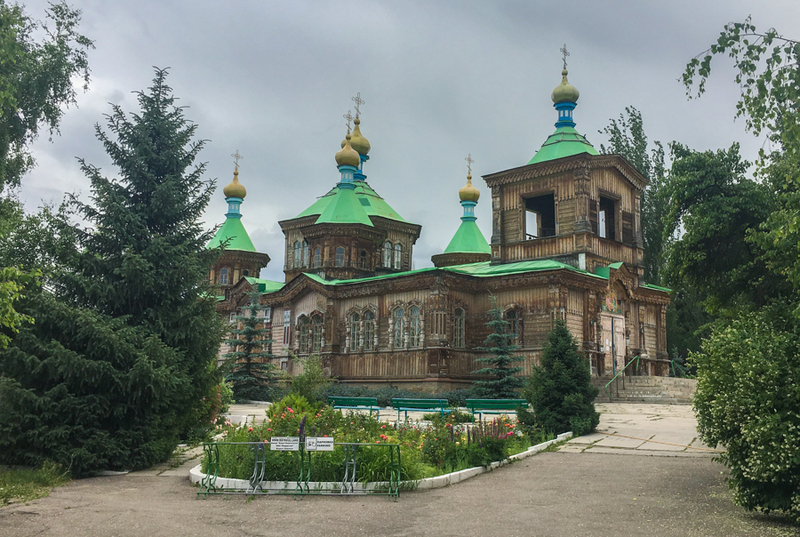 Here’s my list of 10 non-trekking things to check out when you’re in Karakol, Kyrgyzstan. Did you know that many of the residents of Karakol are actually Dungan people? These are a group of Arab-Chinese Muslims who fled their homes in China during the revolution against the Buddhists in 1877. They crossed the towering Tian Shan Mountain range and arrived in Karakol. With them, they brought religion, culture and cuisine. In just 15 minutes by car, you’ll arrive in the Dungan village of Yrdyk, with a population of 3,000 people. This day tour brings you to the local mosque (only men are allowed inside), the Dungan museum which is run by the sweetest old man, and finally, to a family home for a feast with Hamida as the host. First, you’ll be able to see how the popular (and delicious!) 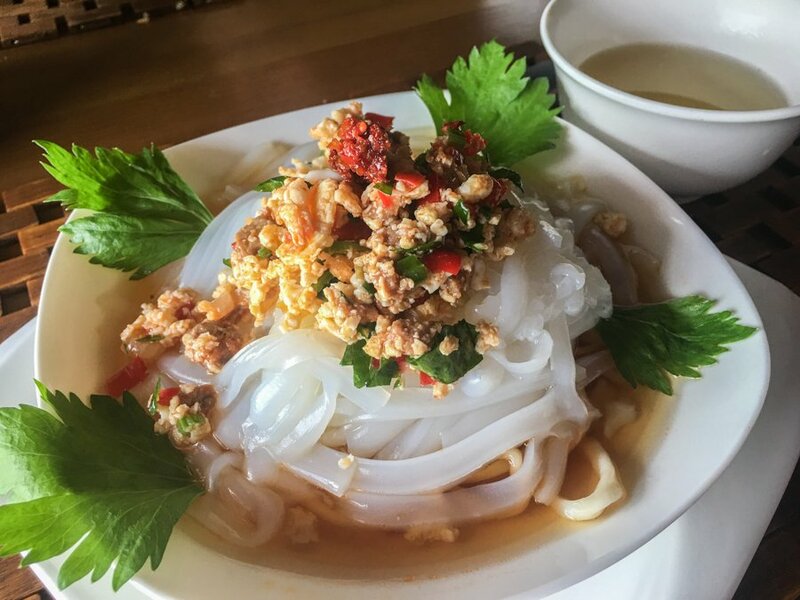 local ashlamfu noodle dish is made, and will be able to construct one yourself. From there, you’ll make your way into Hamida’s living room where you’ll sit on colourful carpets and wait for your feast to arrive. There are a minimum of 8 homemade dishes served, all of which are incredibly flavourful and completely different from traditional Kyrgyz food. You will be absolutely stuffed and satisfied after this meal! Don’t miss this tour to the Dungan Village of Yrdyk, we highly recommend it. To book this tour, contact the wonderful people at Destination Karakol, either by phone (+996 558 508 808), website, or by visiting their office, which is located right next to Fat Cat Cafe at 22, Gagarin Street. The cost of the tour, including guide, transportation, mosque visit, museum visit and traditional Dungan meal is $20 / person. Since opening in 2016, Fat Cat Cafe has proved itself to be an excellent addition to the food and drink scene in Karakol. Here you can order a latte, homemade pizza, chocolate cake, or even an IPA craft beer! All of which can be enjoyed on the outdoor patio. 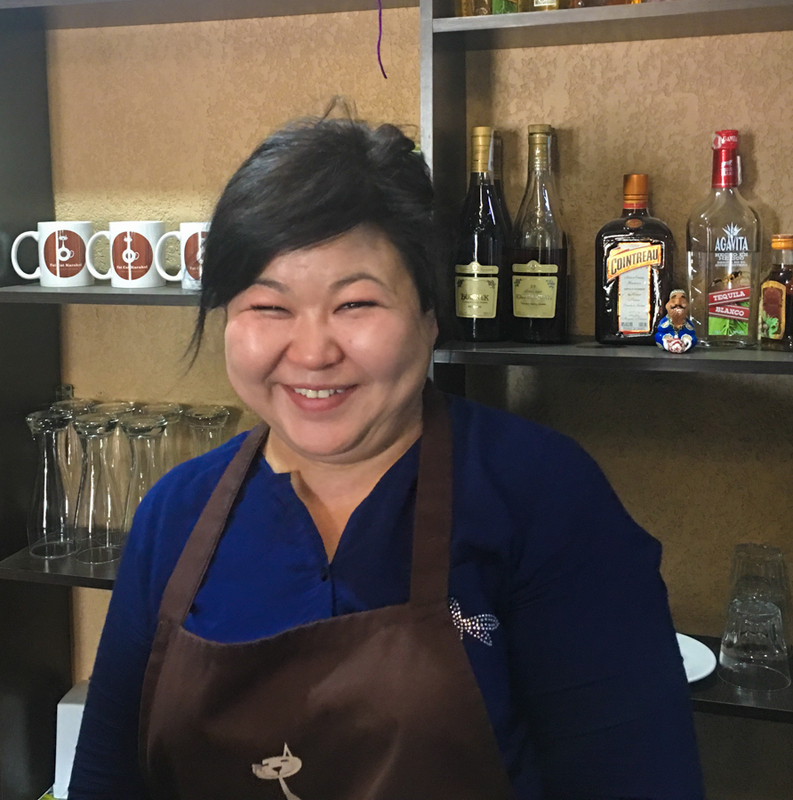 Zhamilia is the owner, and although she is Kyrgyz, she spent some years living in Germany earning her Masters Degree. When you eat or drink at this cafe, not only will you be impressed by the food and drinks, but, you’ll be putting your money towards the dreams of a wonderful woman, and the community she supports. Among other things, Fat Cat Cafe supports the school supply drive for underprivileged kids in the nearby villages, and teaches baking skills to women who are victims of domestic abuse. In fact, Zhamilia’s mother opened the NGO to empower, educate and encourage women. The motto at Fat Cat Cafe is ““Coffee, Food and Giving Back”. Lake Issyk-Kul is the second largest lake in the world, and is the most popular tourist site in Kyrgyzstan, for good reason. The lake is absolutely gorgeous and is a great place to cool off during those hot Kyrgyzstan summers. Even though Lake Issyk-Kul is surrounded by snow-capped mountains, this endoheric lake never freezes! The sandy beaches and rocky shoreline are beautiful, but getting out on the water is what it’s all about. 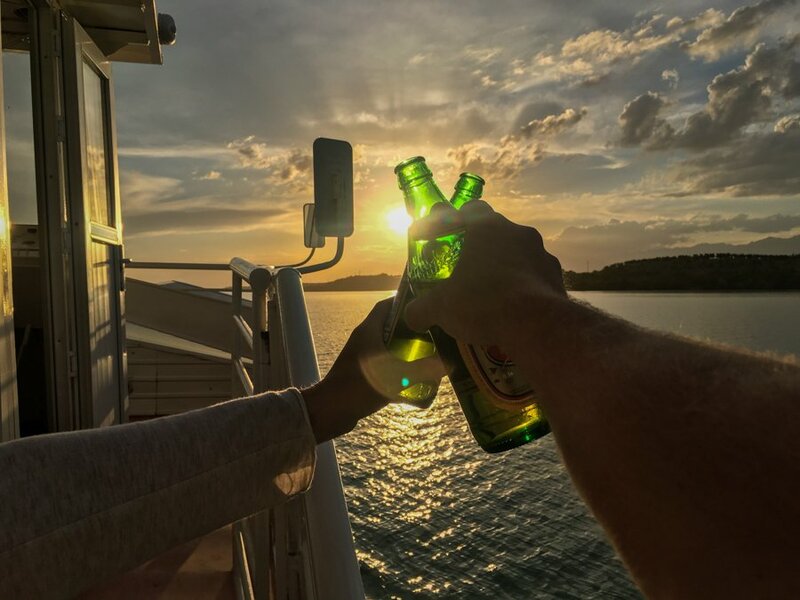 Grab some friends and head out on a sunset cruise. 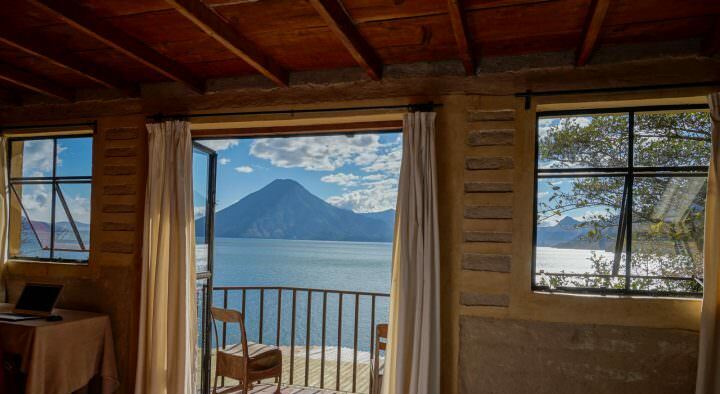 Sip on a beer and watch the sun dip behind the mountains. Sunset with beers on the lake, nothing better than that! This is the perfect way to end the day in Karakol. Sunset cruises can be organized and booked through the Destination Karakol office in town. Call them at +996 558 508 808, send them an email at [email protected].com, or visit their website for details. In general, the cruise costs 1,200 som ($17) / person, which includes a free beer and transport from your hotel. A minimum of 8 people are required, with the maximum being 50! Liking This Article? Pin it! A great way to see all of the top monuments and neighbourhoods of Karakol is by joining the new free walking tour on offer with Destination Karakol. Free walking tours have been available all over the world for a very long time, and finally there is one in here! 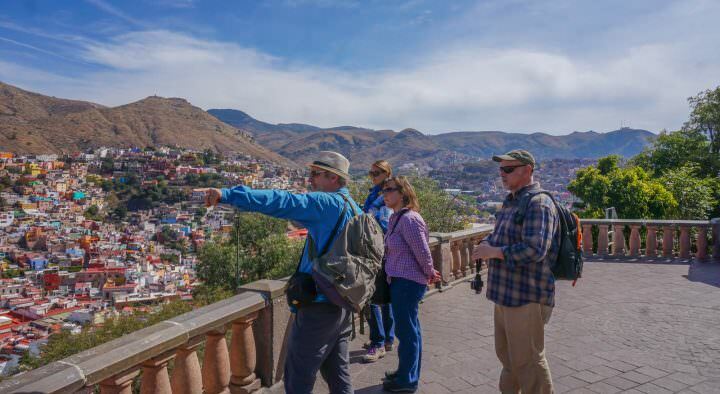 Each time we’ve joined a walking tour around the world, we’ve learned something new and had a great experience, and it was no different with this one. 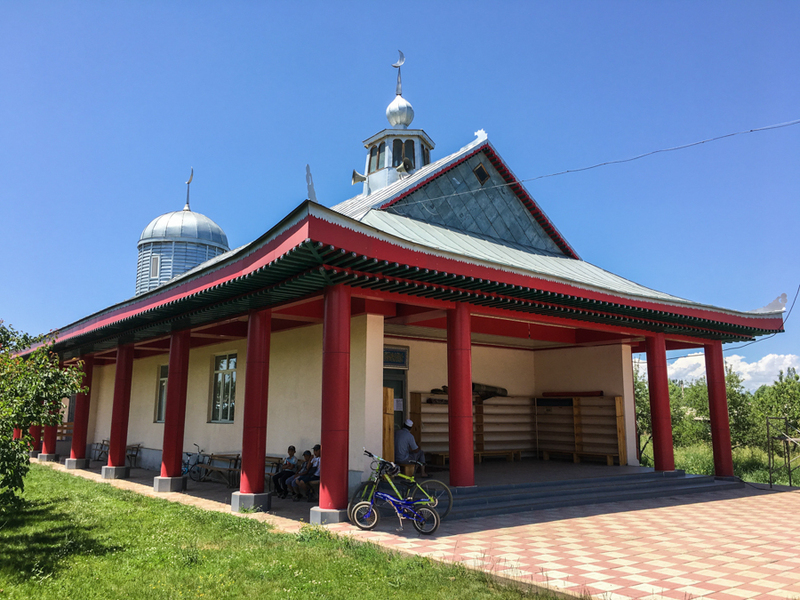 Dungan Mosque in the city of Karakol – it was built without using any nails! Now, it’s true that Karakol may not have as many must-see sights or historic buildings as, say, Edinburgh, Salta, Berlin or Medellín, but there are still many hidden gems in the city. Meet up with your guide and set off to see the Dungan Mosque which took 3 years to build…without using a single nail! You’ll also visit the Russian Orthodox Holy Trinity Church, an antique shop, the fruit and vegetable market and the Russian Quarter with its gingerbread looking houses. The walking tour is a good way to get your bearings of the city, while learning about some of the history of Karakol as well. Although the Free Walking Tour is “free”, tips are appreciated if you were happy with the service. You can sign up for the tour at the Destination Karakol office. Visit them at 22, Gagarin Street, call them at+996 558 508 808, or check out their website. Laghman noodles can be found all around Central Asia, and in parts of China as well. We ate countless bowls of laghman soup with mutton when we were teaching English in Yangzhou, China. It was our go-to meal! This special type of noodle is rolled very thin before being pulled and stretched over and over again, resulting in a very long noodle that looks like a string. The noodles are added to spicy broths to make a delicious soup, or fried with sauce, vegetables and meat. No matter which type of laghman you choose to eat, it’ll be tasty! If you’ve never seen laghman noodles rolled, pulled and stretched (of if you’ve never sampled laghman soup) then you definitely need to check out this tour. You’ll meet up with Gulya the host who will give you a demonstration about noodle stretching, before you’re able to give it a try yourself! Once all of the noodles are pulled, Gulya will create a delicious beef laghman soup for you, plus you’ll enjoy some mantis, vegetables and bread. 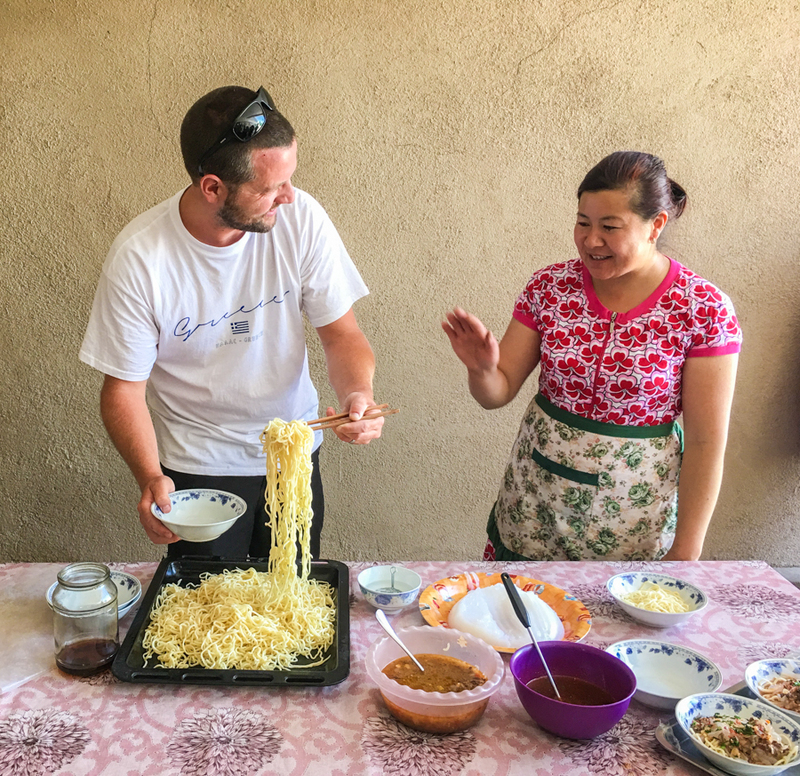 If you’re interested in making laghman noodles, and eating the delicious soup, you can arrange this tour with Destination Karakol. 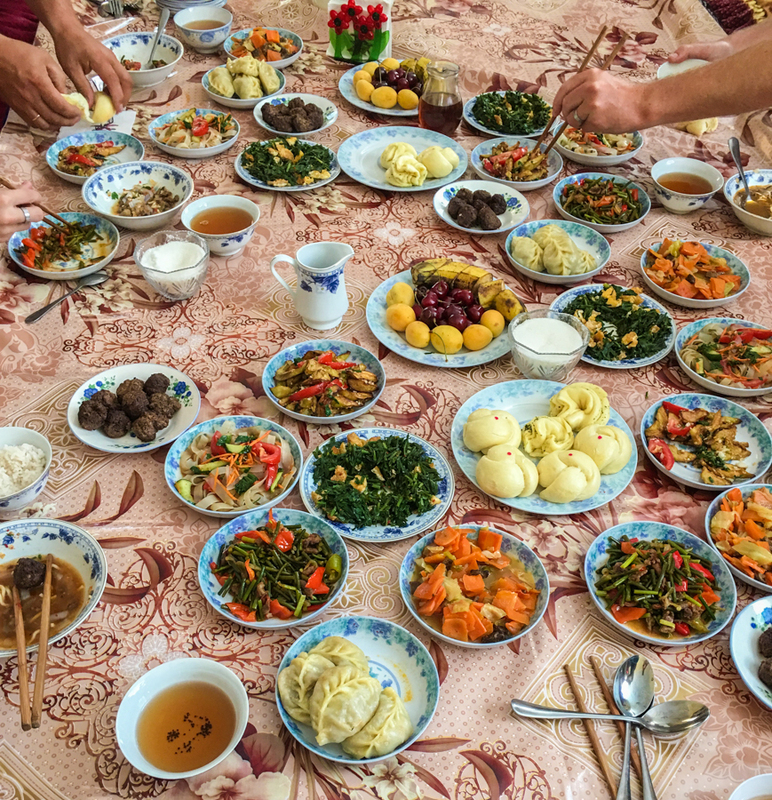 The tour includes transportation, the noodle rolling lesson and the meal itself. The cost is $15 / person. Try to time your trip to Karakol for a weekend! Every Sunday, around 2 kilometers outside of the city, you’ll find hundreds of Kyrgyz people selling, swapping and bartering for livestock. Although you’re probably not in the market for any goats, sheep, cows, pigs and horses (or are you? ), this is a unique experience showcasing traditional Kyrgyz life, an experience that shouldn’t be missed. Try to arrive at the market before 8:00am if you can. Everything is packed up and finished by around 10:00am. The grounds can be a bit messy with mud and manure, so don’t wear your best clothing or shoes. A taxi from the center of town shouldn’t cost you more than 100 som ($1.50). For more details, click here. If purchasing a horse isn’t your thing, maybe you’ll find something you like at an antique shop! 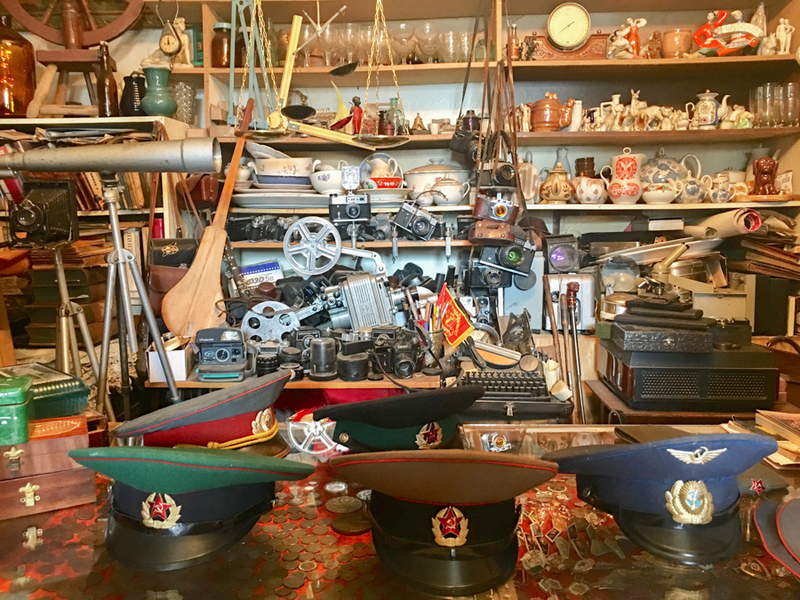 Basically, anything and everything you can imagine from the Soviet times will be laid out on display in the shop on the corner of Zhamansarieva and Toktogula. This is the ultimate spot for kitschy Soviet memorabilia. Want an old police cap or some figurines? How about some camera gear or a typewriter? Better yet, some old coins and Soviet pins… or maybe a creepy doll? All of this and (much) more can be found at the antique shop. Definitely stop in and take a look. For more details about visiting this shop, click here. Fat Cat Cafe is the place to go for coffee, beer and western food, but if you’re looking for some amazing local food, then check out Zarina Restaurant. The wooden interior and picnic table style seating makes you feel like you’re dining in a cozy log cabin. We returned to Cafe Zarina two times during our trip to Karakol and can vouch for the delicious chicken and lamb shashlyk, the spicy beef tongue, the fried laghman noodles (and the laghman soup), and finally, the ashlanfu. The prices here are fair and the service was good as well. Click here for directions to Zarina. Karakol is an excellent example of sustainable and community based tourism in action. 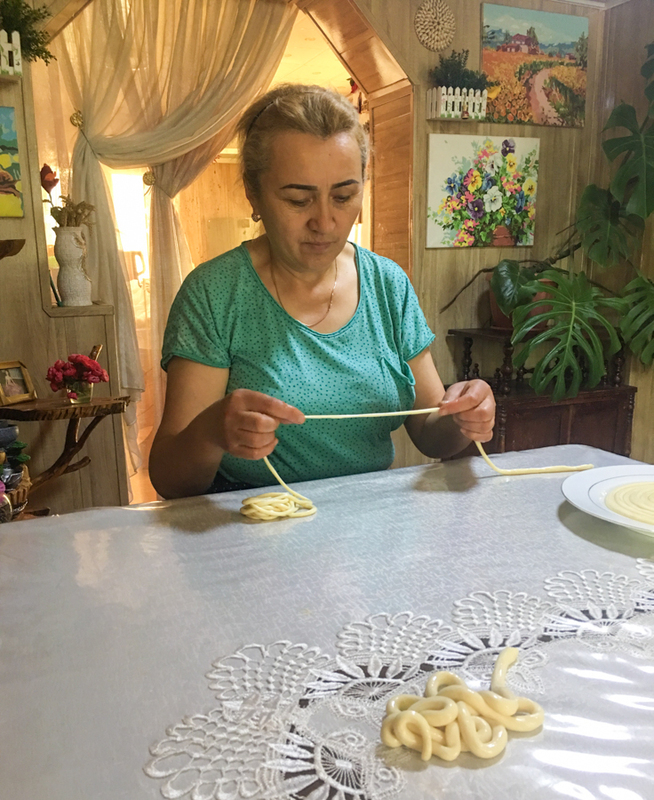 From the incredible work being done by Zhamilia of Fat Cat Cafe, and her mother at the local NGO for women, to the new tours and products in place by Destination Karakol, there are so many ways that you as a tourist can help spread around your dollars and support these initiatives! Another way to put your money to good use is to have a look at (and purchase) some of the traditional products on offer at the One Village, One Product Association, which is a Japanese funded rural woman’s development project. At this shop you’ll find inventive items created by village women, using locally sourced products. Don’t miss the beautiful handmade felt shyrdaks, the tasty pine, sea buckthorn and walnut jams, the local honey, and the all-natural soaps. If you’re looking for a souvenir from Kyrgyzstan, definitely check out this wonderful shop. Click here for directions, check out their Facebook Page, or learn more on the Destination Karakol website. Trekking or not, everyone loves to soak their muscles in a relaxing banya or natural hot spring! A Banya is a traditional Russian Bathhouse, something that is commonly found all around Central Asia. We’ve visited these bath houses in Russia, Kazakhstan, Tajikistan and Uzbekistan, but surprisingly, we didn’t have a chance to check out one in Kyrgyzstan! Luckily, our friends Dan and Audrey from Uncornered Market did, and they recommend Karkyra banya (Баня «Каркыра») on Karasaev Street, which costs around $1.50/hour. You’ll need to take a taxi here (around 70 som, $1). It’s also possible to have beers while you soak – gotta love that! Another option is to visit the nearby natural hot springs. The springs at Altyn Arashan are too far away to be a day trip, and they’re best visited as a reward for trekking all the way from Karakol via Ala Kul Lake! But, don’t worry, the Ak-Suu hot springs are located just 15 kilometers from Karakol, making for a great day trip. To get here, take martshuka (mini-bus) #350 from the bazaar. The cost of the bus is around $0.50, while the hot spring ticket will set you back $0.70. 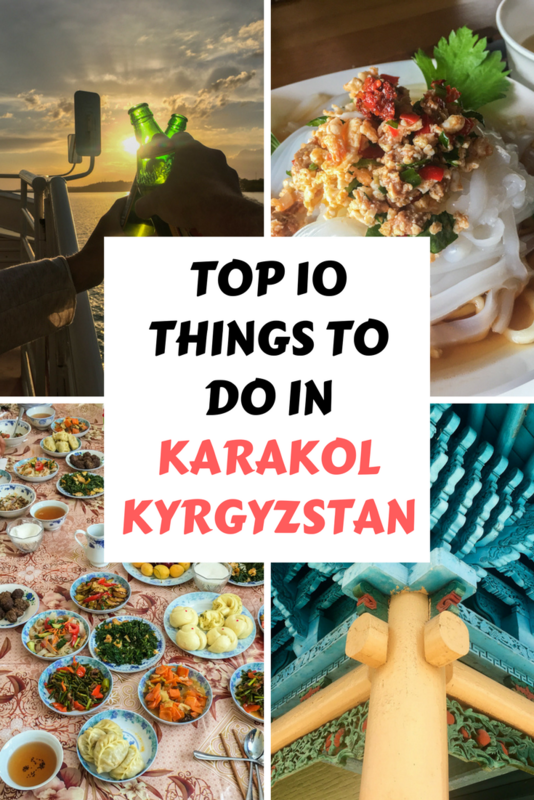 If you’re looking to book any of the tours I’ve mentioned in this post, or if you need any information about things to see and do in Karakol, advice about transportation or accommodation, speak to the people at Destination Karakol. Click here for their website, email them at [email protected], or call them at 996 558 508 808. To get to Karakol from Bishkek you’ll need to hop on a marshrutka (minibus) which will take roughly 8 hours and cost you around $5. If you’re coming from the popular town of Cholpon-Ata, just hop on one of the many minibuses bound for Karakol. To get to Karakol from the Village of Jyrgalan, a minibus will take around 45 minutes and cost $1. There are numerous hostels, homestays and hotels in the city. Click here to find one that you like. Although we’ve never stayed here ourselves, our friend Tynch owns the beautiful Happy Nomads Yurt Camp with positive reviews from travellers. Click here to learn more about his place. For eating and drinking, we recommend Fat Cat Cafe, Zarina Restaurant, Cafe Dastorkon, the massive Dungan meal in Yrdyk, and eating at the street markets. There are numerous ATMs in the city, and a couple of decent-sized grocery stores as well if you’re looking to self-cater. We also highly suggest that you have travel insurance before embarking on a trip to Kyrgyzstan. 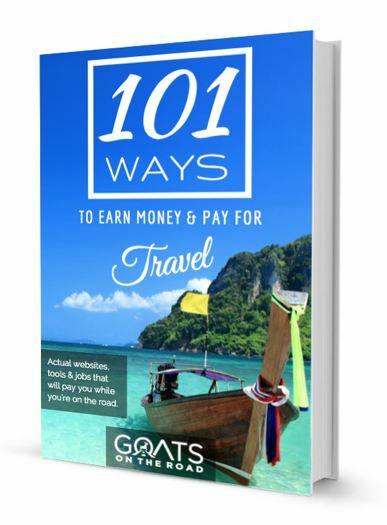 World Nomads covers everything from adventurous activities, such as trekking and camping out in the wilderness, to a quick trip to the emergency room. Always do your research and find the best insurance policy for the activities you plan to do. Disclaimer: We feel so honoured to have been invited by Discover Kyrgyzstan and USAID-BGI to explore Karakol and share our experience with you. Although this was a press trip, if you’ve been following our blog, you’ll know that we’ve loved Kyrgyzstan ever since we visited back in 2013, and that all opinions in this article are entirely our own. This trip was made possible by the support of the American people through the United States Agency for International Development (USAID). The contents are the sole responsibility of myself, the author, and do not necessarily reflect the views of USAID or the United States Government. 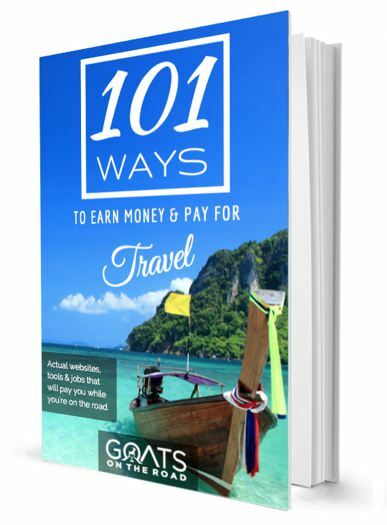 Dariece is a co-founder of Goats On The Road, and together with her best friend, travel partner and love of her life, Nick, she’s been travelling the world since 2008…experiencing some of the least visited corners of our planet. She loves meeting new people and learning about the unique cultures of our world. Her advice has been featured on the Lonely Planet, CNN Money, Business Insider and Forbes. 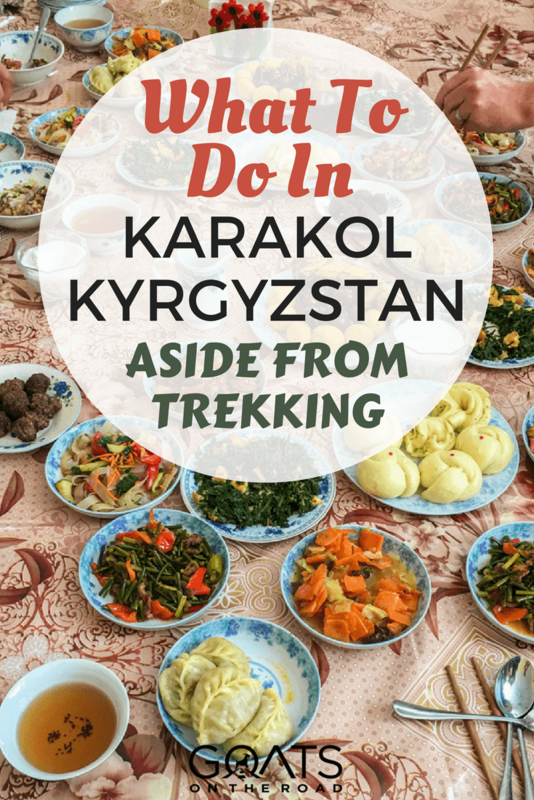 Food of karakol Kyrgyzstan is looking so awesome and you shared amazing things of that place. stunning photos you shared of that place. So amazing to see people like Zhamilia who are trying to give back to the community, very inspiring! Yes!! If you speak Russian, you would do very well in Central Asia Saunas are the best for sure! Thanks for commenting, hopefully you can make it to Kyrgyzstan someday soon! Love the idea of exploring a destination other than what it is known for. I’d like to visit the mentioned village and gorge on the local dishes. 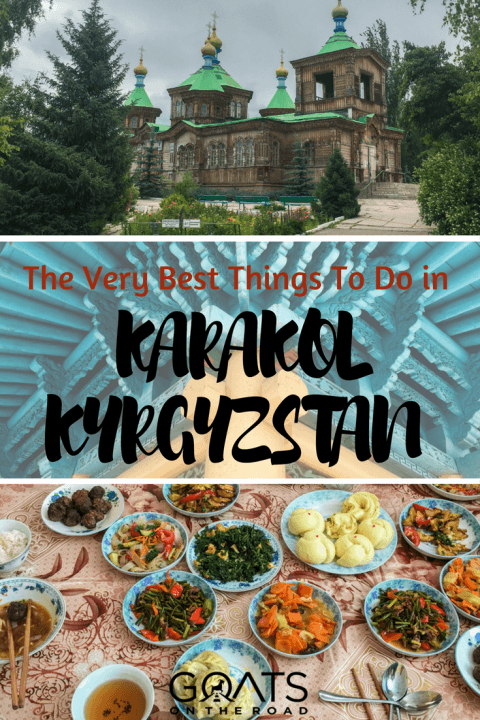 Karakol looks like a fun destination! Excellent article for Karakol Place. People Love to eat different food, Visit Different local places etc. You will include information about shopping places, most visited places etc. I was there in July 2015, and visited the zoo, the only one in Kyrgystan I went especially to see the Prezlowski horses there, as a friend wanted to have some photos of them. They are really cute, not very large, with light tan hides and darker manes. All the animals looked well fed and groomed. Lovely to get up close to the wolves and camels. I stayed in a yurt also, whilst there. A great town. Another place well worth a visit nearby, is the Prezlowski Musem, not far from the lakeside, with a statue of this great Russian explorer, where he is buried. Nice post! You captured good pictures in your post. I really add this in my list. Great adventure. Thanks for sharing it. Thank you so much for these awesome tips! I highly recommend to visit the Antique Shop, it is such a nice place to wander around. Oh, and do not forget to go to the local bazar! Enjoy your stay at Karakol!